Thrift Thick: Another Installment Of Empties! I feel like such a space cadet recently; I can't believe I forgot to post my newest video here on the old blog! 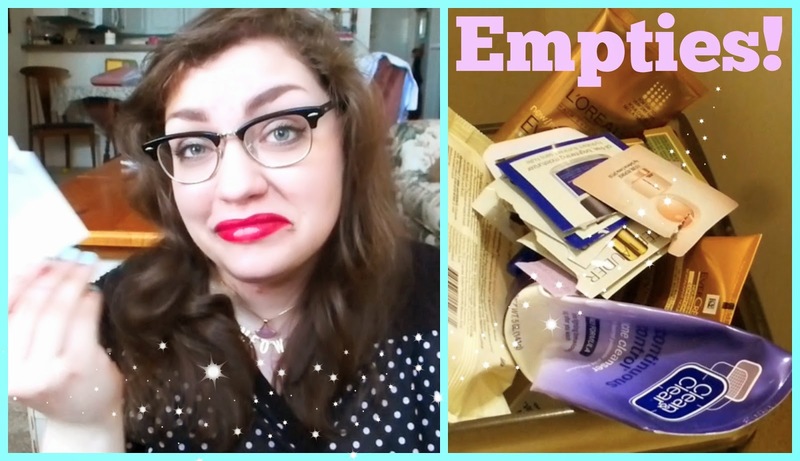 So, if you haven't seen it and are craving some trash talk and rambling, head on over to my YouTube channel and watch my eighth installment of empties!! Wahoo, not one but two new videos to watch tonight! I am a huge fan, love your blog. Aw Meghan!! You're such a sweetheart, thank you for always loving such kind comments for me ;__; And of course I'll check it out, thank you for linking me! Monthly Favorites + Weekly Outfits! Revlon Quick Dry Top Coat: Swatches + Review!